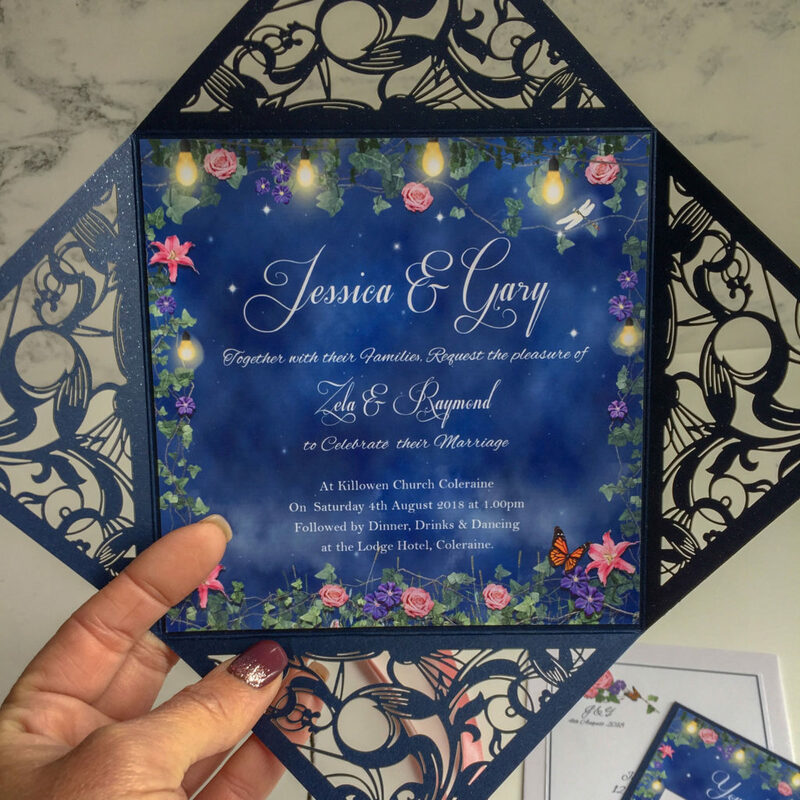 A Bride to be, who had studied drama wanted to create an enchanting Wedding inspired by Shakespeare’s ‘A Mid Summer Night’s Dream. She knew exactly what she wanted but needed it created. She came to me with photos and images to enable me to get a feel for what she wanted. Her Palette was Navy, Dusty pinks and Mauve’s and a touch of rust and her Decor featured loads of real Ivy. 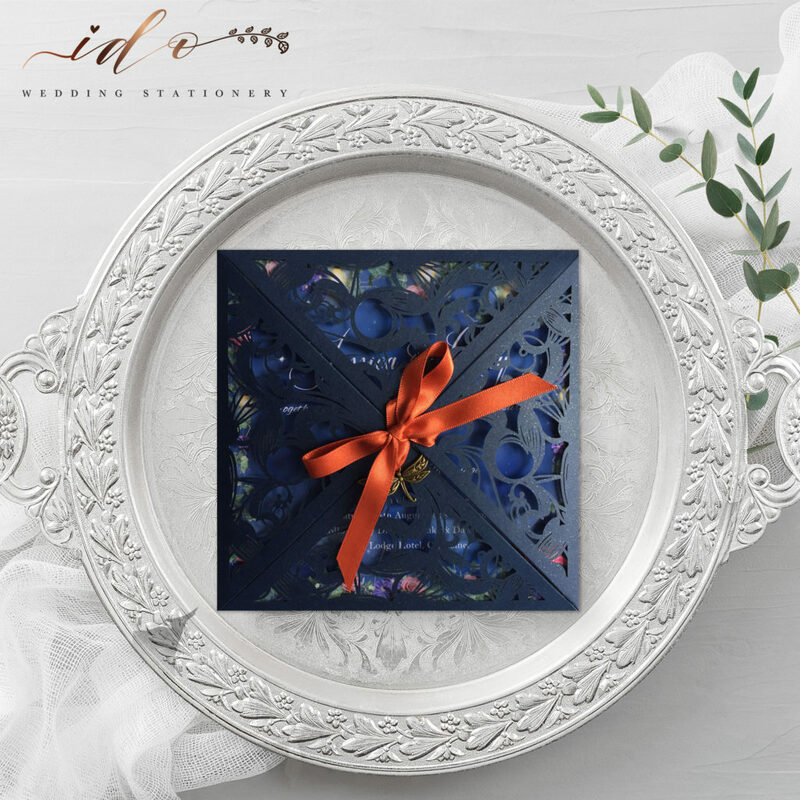 Invitations are Midnight Blue shimmer Laser cut Folders. 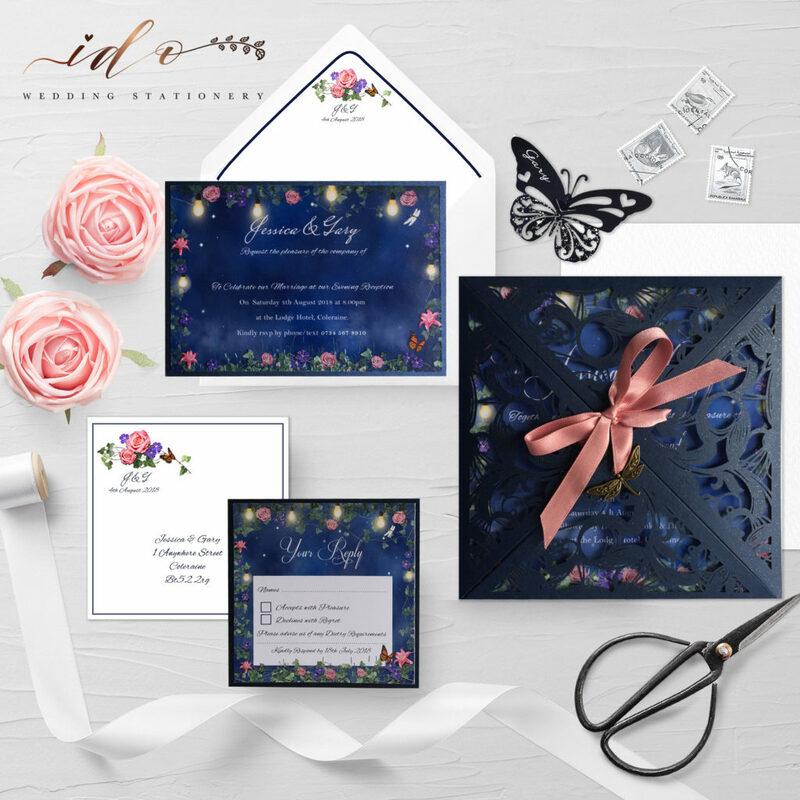 The suite comprised of a Day Invitation, Evening Invitations, Personalised logo Envelope liners, an RSVP, Personalised logo designed Return Envelopes, and a Wedding wish card. 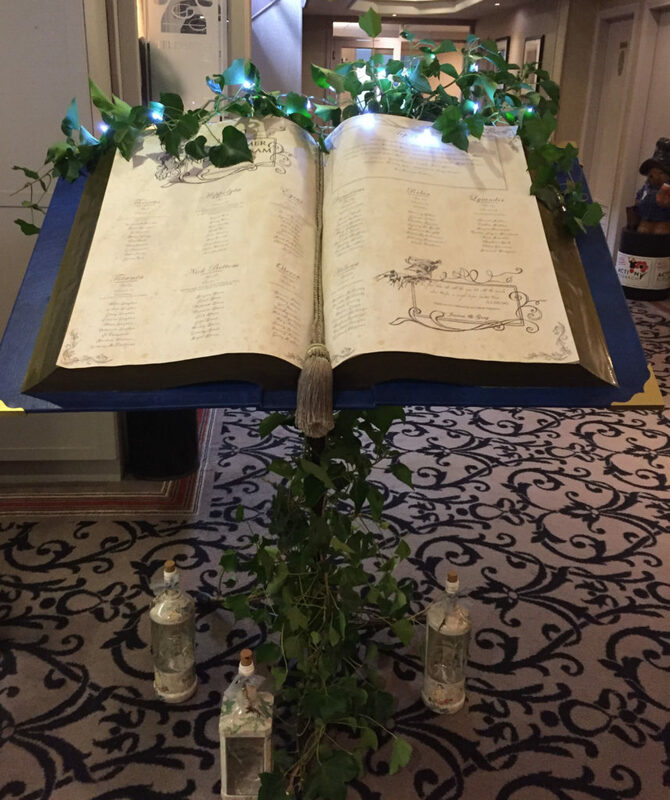 For her Table plan, she wanted to create a Giant Shakespearean book which she had built by her very talented Step Dad. Using the Script, and quotes from A Mid Summer Night’s Dream, I created two poster size pages to be attached to the top of the book. 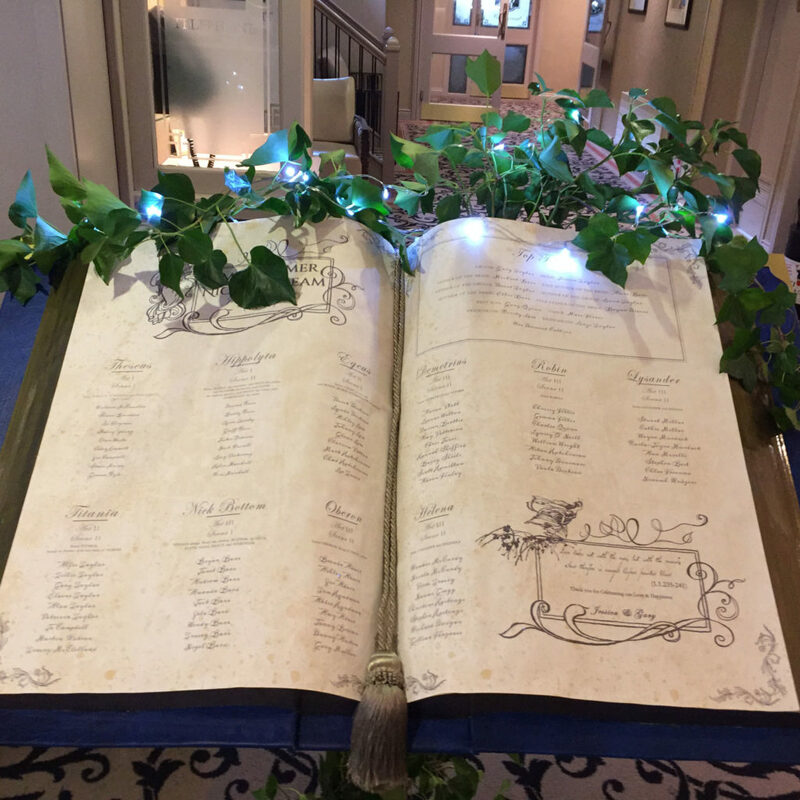 Each Table was the name of a character from the play. 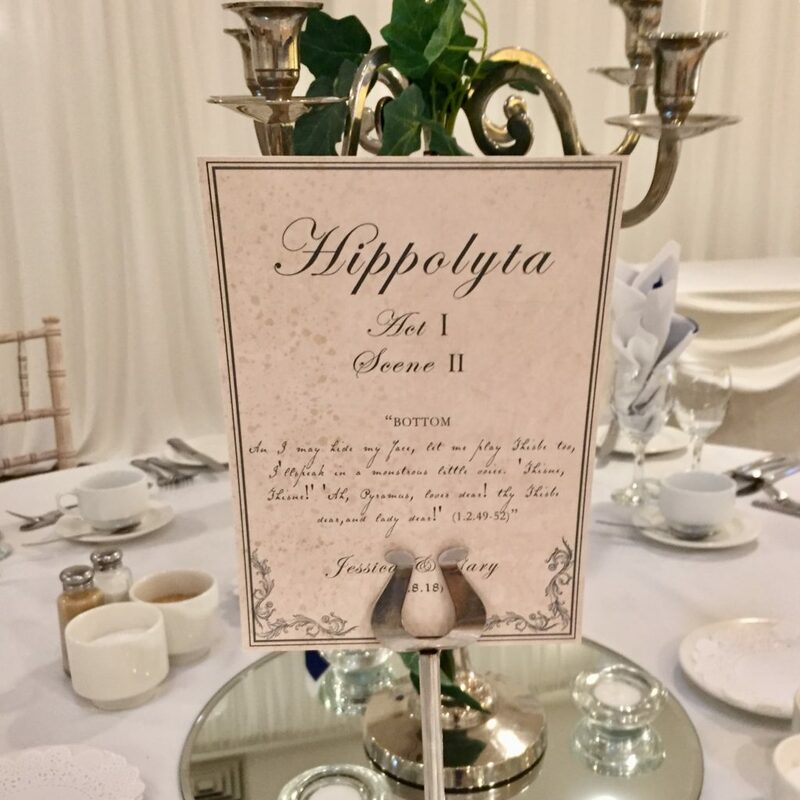 The guests for each table became the characters for each ACT and SCENE from the play. 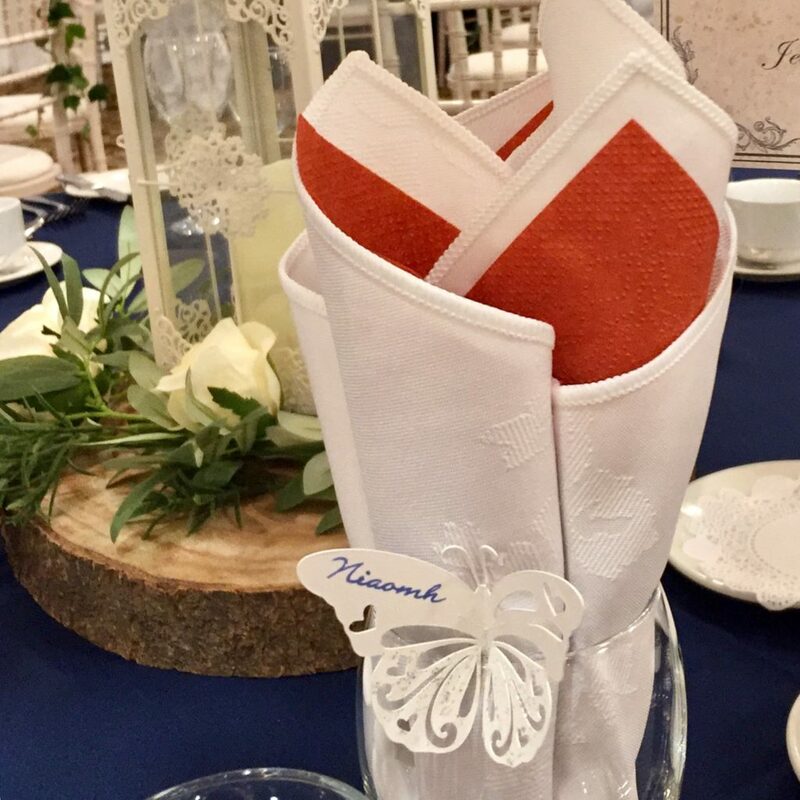 Coordinating Table cards were made to match. 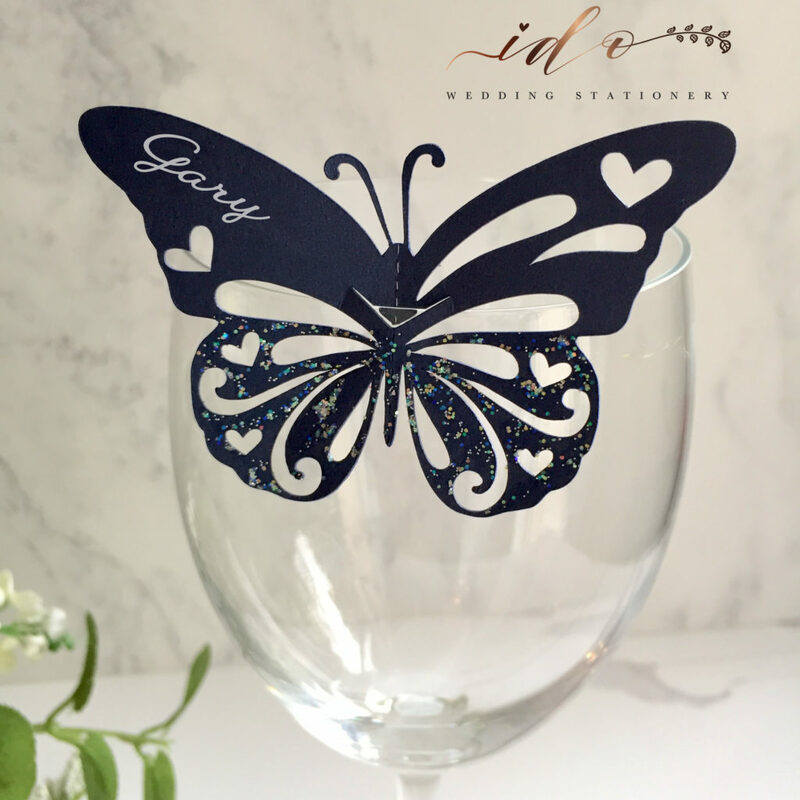 The guest name cards were butterflies to sit on rim of the glasses on the table. 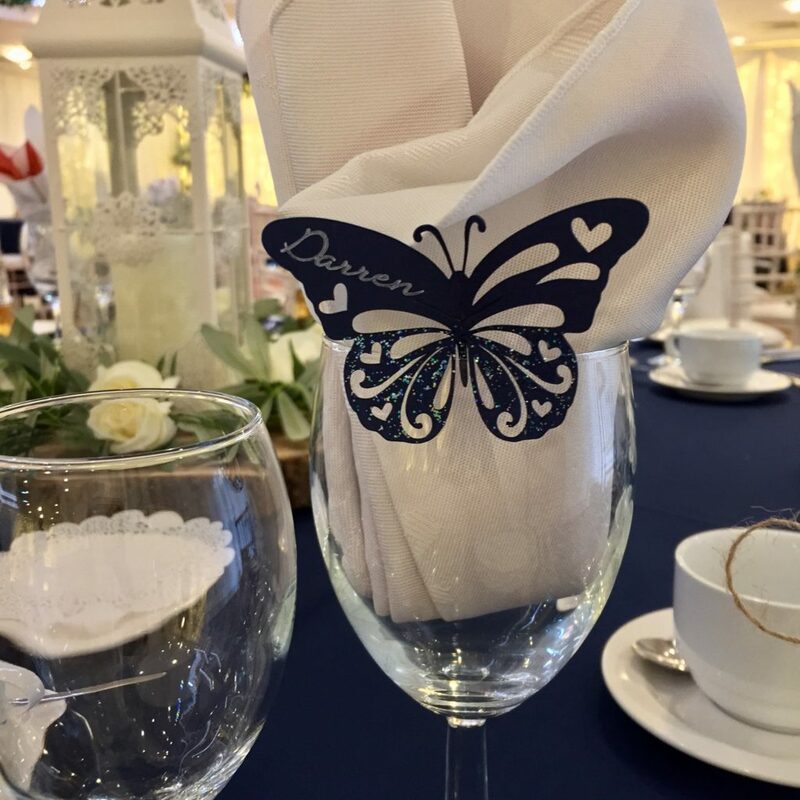 Male guests were Navy, Female guests, white.